Last product of our handmade manufacturing but certainly not least. 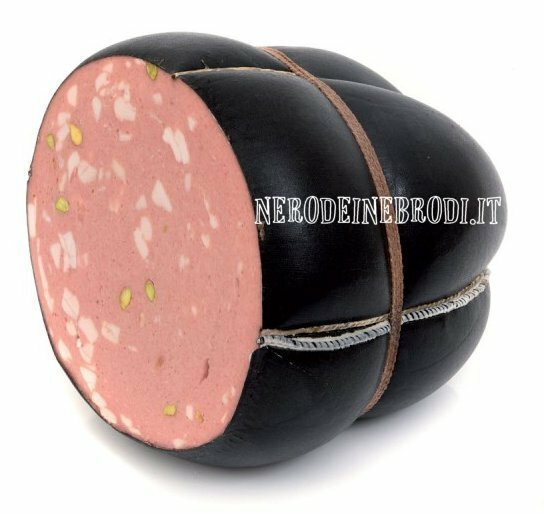 The Nebrodi Black Pig Mortadella is called the Nebrodi Black. It is our last product, but last is not obviously referred to the time-lapse. Can you smell its scent? Yes, also us, when it is baked in our ovens, because it wraps everything into its heady scent. Think that the cooking of the mortadella is slow and prolonged and it lasts 24h at a constant temperature. Are you hungry? I understand you. How can someone resist to such a tasty product? You can not miss the mortadella in your aperitifs or appetiser. The unmistakable scent and its soft taste distingue it from other dishes. Give space to your creativity, use it to flavour your first dishes. Aspect on slicing: the slice has a rosy color and gives off a characteristic and aromatic scent thanks to the addition of pistachio.